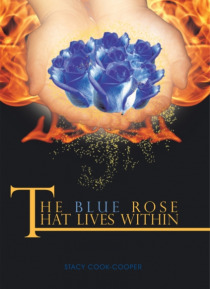 The Blue Rose That Lives Within is an emotional journey of my life and all the struggles and hardships I have endured, being a single parent, to two of the most wonderful children, but also still searching for the one-true man to make my life whole is and obstacle I face everyday. People never realize that just by looking in someone's eyes what that says about them, and the walls around their h… eart they build to keep from being hurt by the scars that they carry daily of the reminders of love gone bad. Like me, their are other people in the world, who have had their lives torn apart, but they to, took a stand in life to raise their children, salvage their lives, and come out of it still believing in hope and God. Life isnt easy, and it never meets any of us half-way, but do we fear the unknown and just let it consume us...or do we realize life is all about chance and circumstance, I cannot answer for you, but for me, it is my time, not to sit it out, but dance.